To make things perfect, the cherry on the cake, is the warmth of this family !!!! it is cheap, I was there this summer and I really enjoyed it. 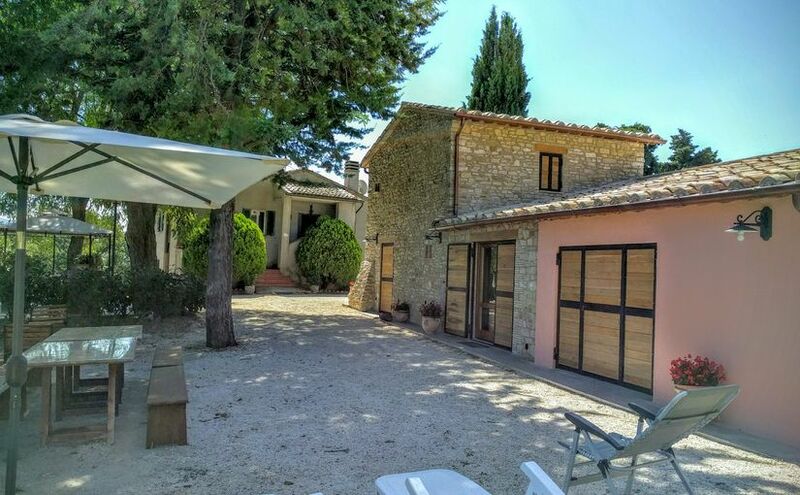 This B&B is an old farmhouse that was rebuilt, located in one of the most beautiful parks in Umbria, the atmosphere is relaxing, the owner is very nice and polite! ...including a breakfast like a king, customizable (coffee, hot or cold milk, jam, cake, etc..). Our B&B combines cultural holiday, rest, tranquility. It’s located in the town of Assisi, inside the Park of Mount Subasio, in a farmhouse surrounded by a protected environment, between the Franciscan paths. Bed & Breakfast is family run, so it gives the opportunity to better appreciate the kind of friendly and simple hospitality, characteristic of the peasant tradition of Umbria. From the B&B you can easily reach all the surrounding medieval towns such as: Assisi, Spello, Perugia, the Umbrian cities of art and, at the same time, make interesting excursions, including tours. The scenic area allows you to be in contact with the flora and fauna of the place and make day-night wild watching. 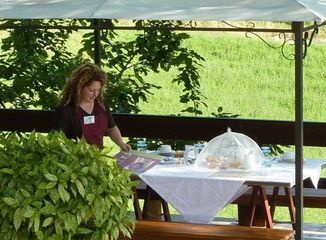 Guests will find 3 bedrooms with 3 services available; included in the price will be given a hearty breakfast with typical Umbrian products to taste, of your choice, either inside the house into a large living room with fireplace, or outside in the farmyard mattonata with barbecue, tables, gazebo. For those who prefer the independence, as an alternative to the Bed and Breakfast, they are available fully equipped apartments for self-manage your holiday. The wide open spaces allow children to play in a healthy way and to enjoy the benefits of the typical climate of the hills. “Hello, I’m Sara. Together with my husband Emanuele and the small Alessia we will open the doors of our house offering engagement and availability so that you can spend a relaxing holiday, fun and, above all, memorable. In the far 2002 I decided to open the bed & breakfast reviving what the home of my grandparents was; from childhood, I feel a strong connection and a deep respect for these hills, for the city of Assisi and for Umbria, my land. The recently renovated B&B is very welcoming and comfortable, the interior firebox with the ancient oven outside give the sensation of breathing fragrance of the past, like those of bread and cakes that my grandmother did. …do not forget, before trip to B&B, to take a look at our social networks and blogs to know events and get tips on attractions to visit. When you come home, share there your vacation experience, curiosities and discoveries you made in Umbria.